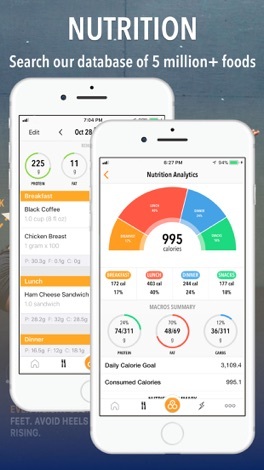 Trifecta has been designed to be the ultimate all-in-one Fitness, Nutrition, and Tracking app. As an Official Sponsor of the UFC®, The US Olympic Team®, and the 2018 CrossFit® Games we take your fitness and nutrition seriously. With over 750+ workouts and a food database with 6 million+ food items, you will have everything you need to stay on track of your diet, nutrition, workouts, and PR’s all-in-one app! Featured in Men’s Fitness as a top fitness app of 2018! Amazing!!! ***** - Best app ever! As long as you can push yourself to do it the app will do the rest! Whether you are in your home gym working out, running, or weight lifting & exercising in a gym -- Trifecta has you covered. Keeping you on track with workouts and offering up free challenges that will keep your fitness moving forward. Trifecta is at its core a powerful content engine keeping all the daily fitness information you care about in one place. • Largest Food Database – 6M+ food items worldwide. • Barcode scanner – Easily scan barcodes to log your food with 4M+ food items scannable. • Restaurant items – Log foods from your favorite restaurants easily. • Quick Add – Just want to add your calories or macros for the day? Quick add them once per day. • Personalized Nutrition – Create your own foods, recipes, and items to personalize your tracking. • Calorie Counter – We add up your calories for the meal, day, week and month and track them by day. • Customize your Diary – Log breakfast, lunch, dinner, snacks and easily duplicate meals or drag and drop. • Water Tracking – Log the amount of water you drink throughout the day. • Dial in your Macros – The Trifecta app will suggest macros for you to reach your ideal body composition. • Biggest Workout Library – Choose from over 1,000+ workouts programmed by celebrity trainer Brooke Ence. 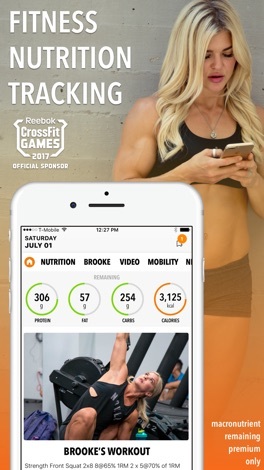 • Workout Video Demonstrations – Watch celebrity CrossFit Games athlete Brooke Ence demonstrate movements. • Hero Workouts – Extremely challenging “Hero” workouts attributed to our fallen soldiers included. • Ultimate Workout Timers – Gorgeous Stopwatch, Tabata style HIIT Timers, EMOM & AMRAP timers. • Log Cardio Exercises – Including walking, running, biking, swimming, yoga, Pilates and more. • Log Strength Exercises – Including sets, reps and weight per set and your own custom workouts. 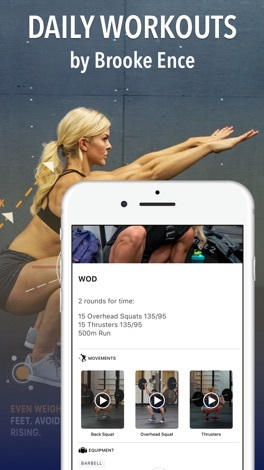 • Live Training Video Feeds – Video Feed to add your favorite workout channels from YouTube. • Charts and Graphs – Keep yourself motivated and on track with graphs of your improvement over time. • Progress Pictures – Along with logging your food and workouts, add daily progress pictures to your profile. • Nutrition Graphs – Watch your calories, macros, and nutrients over time to notice weight loss trends. Subscriptions can be managed, and auto-renewal turned off in Account Settings in iTunes after purchase. Once purchased, refunds will not be provided for any unused portion of the term. Mask Booth - Transform into a zombie, vampire or scary clown and more!